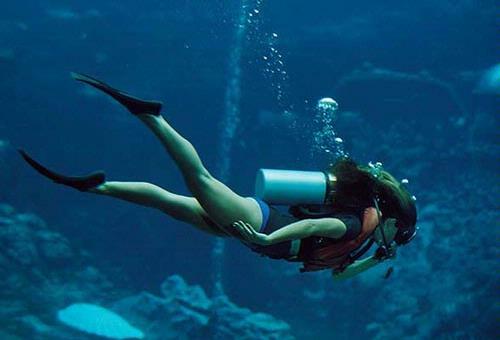 Firstly bring us a certified scuba diver with a c-card rested and ready to have some fun. You will need to bring proof of certification, however a dive log is not required only respected. If you have any medical issues that affect diving, be prepared to bring a physician’s release form signed and dated by your physician. Be prepared to sign typical liability release form(s) and agreements to follow accepted safe diving practices. We will interview you about your diving history, not to be nosy, but to help us to help you. Required dive equipment: A regulator with alternate air source and gauges’ in good working condition. If you need and annual maintenance on equipment and/or new batteries in your computer, get err done. A BCD with low pressure inflator in working condition. Blow it up and see if it holds air overnight, if not, get it to dive shop for maintenance. Mask, fins and snorkel. Spare fin strap and mask strap are always nice and don’t forget the mask prep. Wet suit and dive gloves. Water is low 70’s in winter to mid-80 in summer. A 3 mill double suit usually does the trick. If interested in night diving, a good primary light and a backup in working order as well as a light stick to hang off BCD. Spear gun and stringer (we can rent $10/day/person) as you prefer. Safety equipment required: You need a good surface sausage (bright orange or red) and reel. The bigger the better. You also must have a sound signaling device that works adequately. If you would like to ship to our shipping address at; YKNOT Charters C/O Stock Island Marina, 7009 Shrimp Rd., Key West, FL 33040. We will pick up for you. Allow adequate of time for shipping and pick up. We will also deliver back to shipper for you. Simply buy a prepaid return. Linen and towels: We supply fresh sheets and pillowcases every trip. We also supply some towels; however I recommend you bring one or more of your own. Generally: Pack soft luggage, (stores better). Sandals are great, but sometimes not the best on the deck of a moving boat. Good pair of sunglasses is nice. The deck can get wet, so crocks or water shoes, tennis shoes or boat shoes. Sandals in great weather. Sun screen can be needed at times. If you have the meal package, we pretty much supply everything except alcoholic beverages, soda pop and specific snack requests. Oil for fish, (I prefer olive oil), potatoes, onions, fresh vegetables (asparagus goes well with lobster), breakfast cereal and milk (1/2 gallon containers only) and/or eggs and sausage/bacon. Complete pancake batter. Plenty of lunch meats, ham, cheese lettuce and breads for making sandwiches. Condiments – butter, ketchup, mustard, pickles, Chips (stay with pringle type) and snacks/bars. Fresh fruit, (stay away from all oranges as acidic) Cookies, (plenty of ginger snaps). This is not a complete list, simply suggestions, if going for multiple days, you will need plenty. You can count on some fresh fish and lobster meals, you catch em and we’ll cook em. We will supply bottled water and some snacks.